That is so awesome! I'm the most uncreative mom on earth, so that is impressively cool. Love the fall theme! The scan of the leaves looks so cool! Fun times! Great activities. 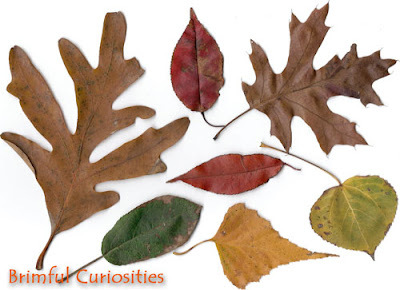 That leaf paper would make a great table runner for Thanksgiving! Thanks for the link! This book that you highlighted looks very interesting - I'll see if our library has it. The leaf crafts are pretty neat too. 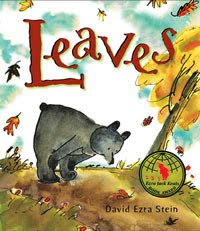 Thanks for stopping by my blog--I will have to check out Leaves--it looks really good--perfect for fall. I think I will also try out the leaf painting craft! Looks like fun! 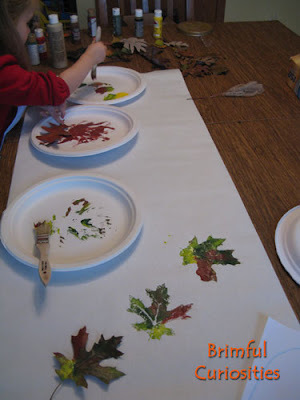 We have been collecting leaves to do something crafty- leaf rubbings or gluing leaves to make a picture. Painting them is a great idea. Thanks for stopping by for W.W.